It's always great to hear from other Moms around the world. Sharing tips makes great conversation! 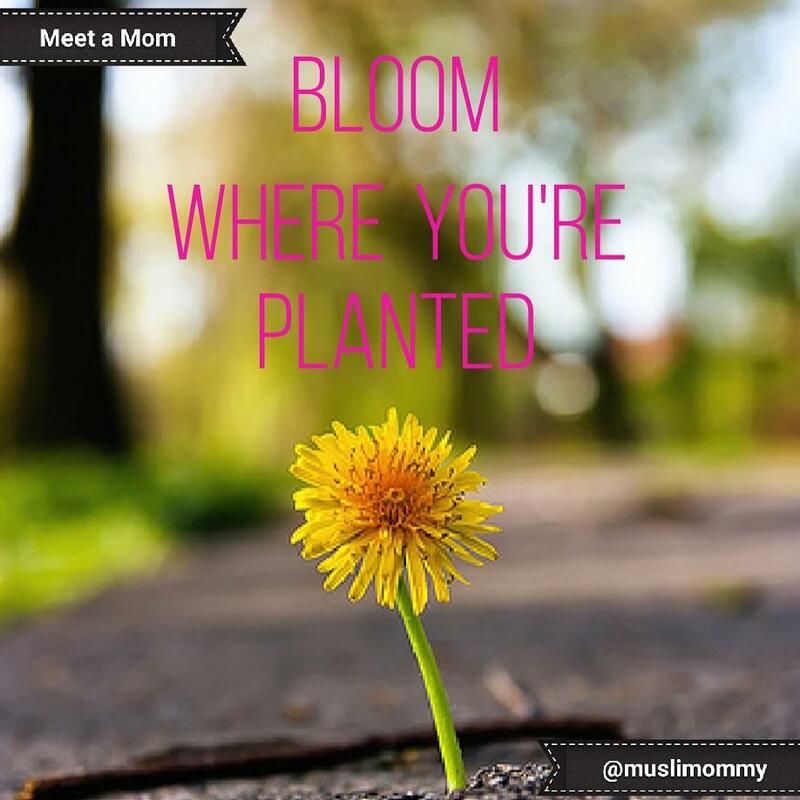 Enjoy the helpful advice from these moms who generously took the time to share their valuable advice with us on my Instagram page @muslimommy. I am Faaiza, stay at home mother. I live in Gauteng, South Africa. I am a mother of two toddlers. My son is 5 years and my little girl will be 3 in November. Take 15 minutes every morning before everyone is awake and put makeup on. Even just to put mascara and some gloss. That few minutes of mommy time and just seeing to yourself makes a huge difference. Pick your battles...not all of them have to be fought. Make homes for everything that way at the end of the day you can put the minions away. Take 5 mins every day and read a hadith or story of the sahaabahs to your kids...I love the fazail a'maal. My name is Mariam. Residing in the United Arab Emirates with my family. I am homeschooling mom of two amazing kids mashAllah. Girl 10 and Boy 6. At the end of the day, take a relaxing bath with Epsom salt and a candle lit in the bathroom. 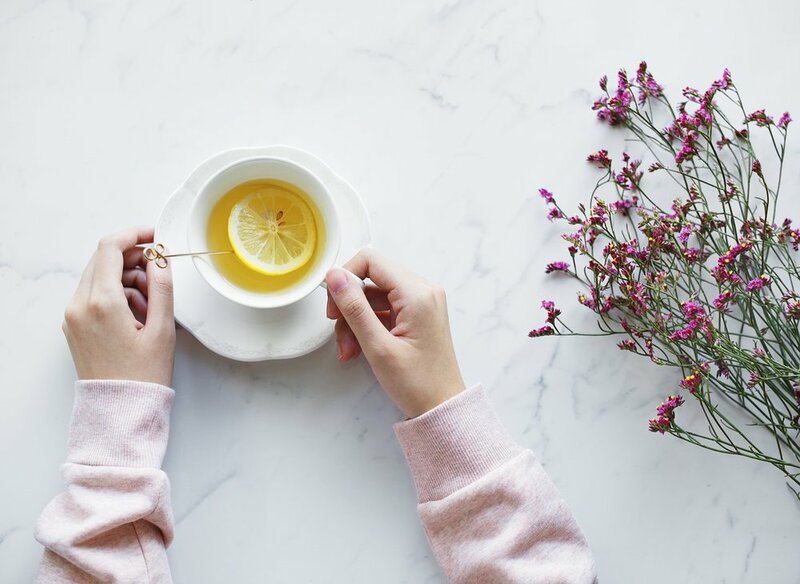 Get dressed in comfortable pajamas, have your chamomile tea, and read a book, even if it's just a page, enjoy this time. Make dua for your kids, hug and kiss them more, they will grow up soon. Do Little every day, so it doesn't become an enormous task at the end of the week. Jameela Ho pre-k teacher and mother to two teenagers from Australia. Eat plenty of fresh organic fruits and vegetables throughout the day. You'll feel better, your mind will be clearer and your body will have the energy it needs to thrive and heal itself. Hug, kiss and cuddle your children when they're young and even when they're older. Do it all the time. This is the best way to stay connected. De-clutter constantly so you don't have a build-up of things that need to be stored. When you get up in the morning take a moment to find something to be grateful to Allah for. Naazneen, mother to a beautiful 3 month old boy...dietitian and head of Health and Wellness for Nestlé South Africa. Aadam is 3 months old and is my little champion. Don't be too hard on yourself. Motherhood is overwhelming, to say the least, and it's important to Keep Your Cool! When someone offers help, TAKE it...whether to cook a meal, help tidy up or even just to keep you company one afternoon. Don't be too hung up on raising a text book baby...have guidelines for yourself, but don't be too rigid. You don't want to miss out on your baby's beautiful development while fretting about why he didn't poo at exactly 7 am. Remember to always give thanks to the Almighty for what you can see He's given you and for what you can't see. Assalmu Alaikum, my name is Tasneem from Cape Town, South Africa. I am a former instructional designer but now a stay at home mom with a passion for seeking knowledge in the path of Islam. I have two kids, alhamdulillah a boy of 9 and a little girl of 3. Keep your mind active! Take up a hobby - remember before you were a wife/mom you were a person (lol) don't lose yourself. Do something that helps you to express who you are. Stay connected to your kids. Develop a ritual that allows you to have some special bonding time. Allow them to express themselves in this time, without them feeling worried that you will judge them or scold them. Best spiritual tip: Make time for reflection. The best time is before or after fajr, when it is still tranquil. Naeema from Cape Town, South Africa. Clinical psychologist and part-time lecturer. Mother of 2 wonderful daughters, aged 7 and 9 alhumdulillah. I meet many women who have given all of themselves to others.. whether it be family, work, friends etc. They find themselves depleted physically and emotionally and need to be reminded that self-care is essential before being able to care for others. It's not selfish, it's self-preservation!! Don't compare yourself to other moms/ parents. It took me a long while to realise that I could rely on my own intuition and instinct with regards to parenting decisions. Still have to remind myself sometimes! Write all those tasks down; big and small. Start small and keep chipping away at the list. Aiming to do the biggest jobs first can be very overwhelming. Feeling depressed or highly anxious is not a sign of weak Imaan. In fact, through our emotional struggles, we can eventually reach a place of feeling closer to the Almighty Insha-Allah. My name is Sadia from Birmingham UK. I am a working mum of 3 little munchkins, 8 year old Maryam, 4 year old Eesah and 1 year old Ammara. It's good to be a little selfish. Take at least 5-10 mins a day and do something you enjoy like reading, crafting or writing. Those 5 minutes for yourself will feel golden. After putting the needs of the kids and husband infront of yours for the whole day, it is important for your own mental well being to take some time for yourself. Just go with the flow because every child is different. Get to know your child and cater to each of their needs specifically. When you nurture their individual interests rather than fitting them in the same mould, you will see them thrive and grow. Well, I'm not the most organised person there is but I will get there In Shaa Allah. What I say is there is so much information out there just find the best practice for you and stick with it. But most importantly, stop thinking about it and just get up and do it! The less clutter you have the easier it will be to keep organised. If you haven't used it in over 6 months its probably best to find it a new home. I think when it comes to spirituality most mums feel like everything else, it gets put on the back burner whilst you attend to your children, your husband and your home. This feeling sometimes leaves us feeling as if we are not able to give enough time to our own spiritual well being. Just keep reminding yourself that these everyday tasks are also being done for the sake of Allah and I am sure you will soon see how this adds barakah to your everyday routine In Shaa Allah. "Allah has placed us in a particular situation & environment for a reason. Focus on using your talents to be a valuable member of your community & grow in your role as a mother so that you inspire those within your home & surroundings." Saajida. I am a mum to 4 amazing children. I have a son aged 8 & 3 daughters aged 6, 4 & 3. Allah has granted me an opportunity to be a mother to an amazing little girl with a congenital heart defect. She has taught me courage & has a passion for life which is contagious. It's not without its challenges, but alhamdulillah I have found Allah's help at every turn. I've established a support group for mums with children who have birth defects, congenital heart defects, autism, down syndrome, pulmonary hypertension etc, better known as, our little super heroes. Find us on Instagram @Super_Mums_of_Little_heros, to share your story or be a part of ours. Children are an Amaanah from Allah. Do the best you can to fulfill that amaanah by encouraging them to become adults of noble character. Encourage them to be kind, generous, honest and respectful. Cherish the time that you spend with your children, create memories by doing things together. Whether you reading a book, playing a board game, riding a bicycle or kicking a ball around, when they are older, these are the moments that will remain with you, and them. Trust yourself that you are the best person for the job and you are more capable than you think. Allah will entrust you with this responsibility because Allah is aware of your ability. Work smarter, not harder. Ask yourself if something can be done more efficiently. Plan your day but always allow room to maneuver in case of something unpredictable occurring. Ensure that everything in your home, has a home. Your kids will also appreciate that they are aware of where all their items are placed and should assist with clearing up when necessary. I have found that making thikr a important part of our household, makes everything easier. It's also something one can do anywhere, while driving kids to school etc. Asalamualiakum. I am Amina. I'm from Gauteng, South Africa. I am a full time educator at a state school as well as mum, nurse , cook, tutor, etc. to a busy 8 year old little girl. I have a very hectic schedule. When I am feeling a little drained I try to indulge myself to a body massage at our local spa. That hour away leaves my mind and body feeling relaxed and ready to tackle on anything. I have come to accept that having a busy eight year old in the house who is an aspiring artist, chef, dress designer, miniature food artist etc. will leave my house looking like a tornado has been through it on many days. I try to assign my daughter a corner in the house where she has a table to herself. All her supplies are kept there and they are easily accessible when the mood takes her. I try to encourage my daughter to do zikr. So she has a habit of doing zikr when she prays, is bored, or even when she is asking Allah for forgiveness when mistakes are realized. Safiya. In-house Fund. Johannesburg, South Africa. Mom to 2 boys ages 2 years and 7 months. Make time for yourself and take a break from the everyday monotony, even if it's just once a week. I usually take Saturday for myself and go shopping, have a coffee or even get a massage. Look good for yourself and hubby won't mind either. Don't blame motherhood for looking sloppy and unkept. Make time for hubby as well. Date nights are important even if it's just in the house. Kids don't need expensive toys or clothes, save that money for their education and rather spend time with them and give them your utmost attention. Love them, hug them, kiss them - they grow up way too fast. Treasure every moment. When they're older they'll remember that more than an expensive toy. Prepare a menu a week in advance and make sure you have all the ingredients. As a woman, half your time is spent on deciding what to cook. I also spend Sunday mornings cutting up vegetables, onions, and doing the major prep work for my cooking for the week. Spring clean at least twice a year and donate anything you haven't used in a year. Stop hoarding! When I declutter my house, I feel like I can think more clearly and I feel so much more organised. No matter how busy life gets always make time for your salaah. Make it a point to pray together as a family so prayer becomes second nature to your kids. Instill good character, morals and adhaab in your kids. Remember they'll be someone's husband, wife, father or mother one day Inshallah. Hi, I'm Shoohada khanom, I'm a children's book author and I live in London, U.K. I'm a mother of six children. My eldest is a girl, she's 10 years old. I then have five boys ages 8, 6, 4, 2 and 4 months. Allahumma barik lahum. Make time to do the things you love. I like to spend an hour or so after my kids are tucked up in bed doing something I like. I normally use this time to read and write, my two favourite things. Have a routine, but leave room for flexibility. Sometimes, things don't go as planned and being flexible enables me to step back and go with the flow. I'm a morning person and I like my chores to be done by a certain time. I get overwhelmed with things piling up, so I'd say to do things as you go along. If you find it hard to make time to read the Qur’an, play it instead. There’s nothing more soothing than the words of our Lord flowing through our homes. Even with the kids making a racket! SamINA (the second half of ayeINA). 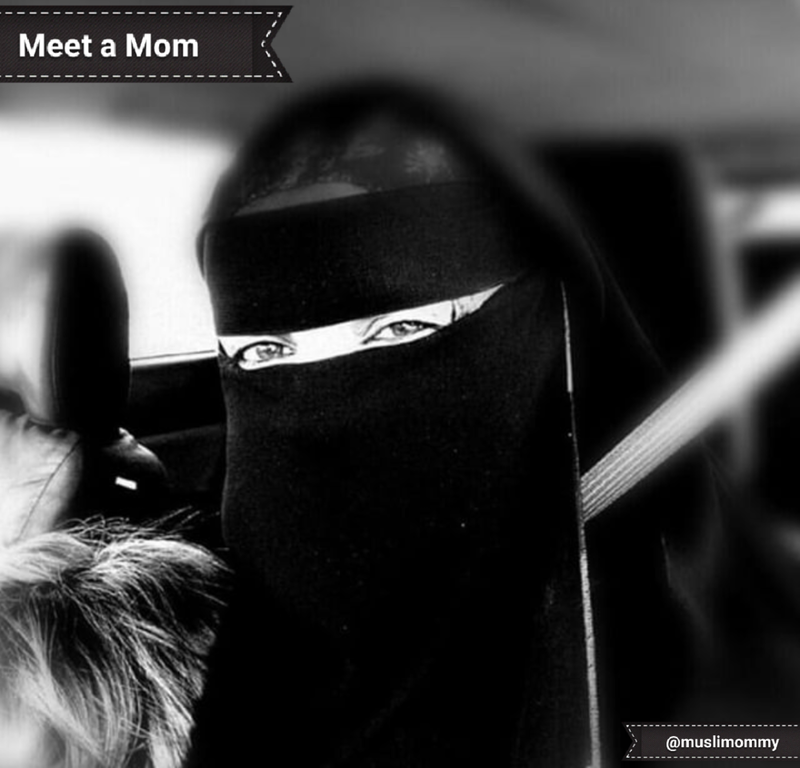 Mum of two, currently studying Intensive Arabic Program from Islamic Online University with a previous degree of Electronic Engineering and Ta’leem ul Qur’an - a writer by heart, photographer by eye, an artist by nature, and a Muslim by soul. Kids: 2 Daughters - 3 years old and a newborn. Take afternoon naps. I know it requires a bit of scheduling to be able to put kids to sleep with you, but it's so so worth it. Don't come under the pressure of "I have to do it all". Exist to be happy, not to impress. The less you over schedule yourself, the more you'll be able to take care of yourself. Let the kids be kids! Don't expect them to act like adults, but don't underestimate their ability to learn like adults either. Keep a few boxes around the home so the kids can "help" by putting their stuff in it when you want to clean up. Or just stuff it all in there when you don't want to clean up 😅 (I'm clearly very bad at giving advice :p). On a serious note, make decluttering your best friend. The less you have, the less you have to organize. Utilise the time after fajr whenever you can. It's the most therapeutic and quiet time for any kind of spiritual development you want to work on (as long as the kids don't wake up that is :p). Thank you to our awesome mom participants from my Instagram page. May Allah reward them for their time and effort.